Neither had I, so off we trot to the local auction house which was holding a sale of die-cast model cars, toy trains, huge live-steam model traction engines and dolls… and as it turns out… cameras. I spotted a few things that might be of interest: Mamiya TLRs, Leica SLRs, a box of assorted Nikons and a few odd lenses. I spent 40 minutes perusing the more obvious items and then in a moment of (potentially expensive) madness, I found myself registering as a bidder! The auction proper started at 10am and by 10.45 the auctioneer had rattled through 50 lots, mainly vintage Dinky and Corgi toys and I was fascinated! 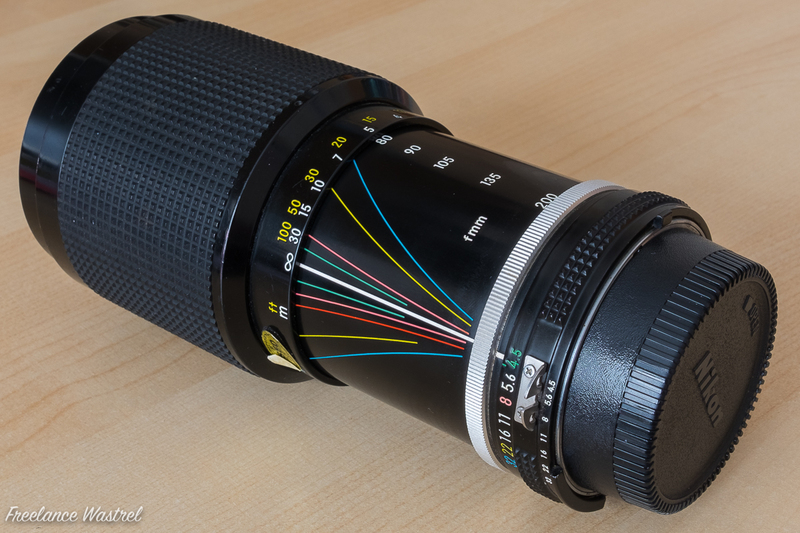 The Zoom-Nikkor 80~200mm f/4.5 lens is, according to Nikon Ambassador B. Moose Peterson‘s Magic Lantern guide book to Nikon Lenses, firmly in the “Oldies but Goodies” category. 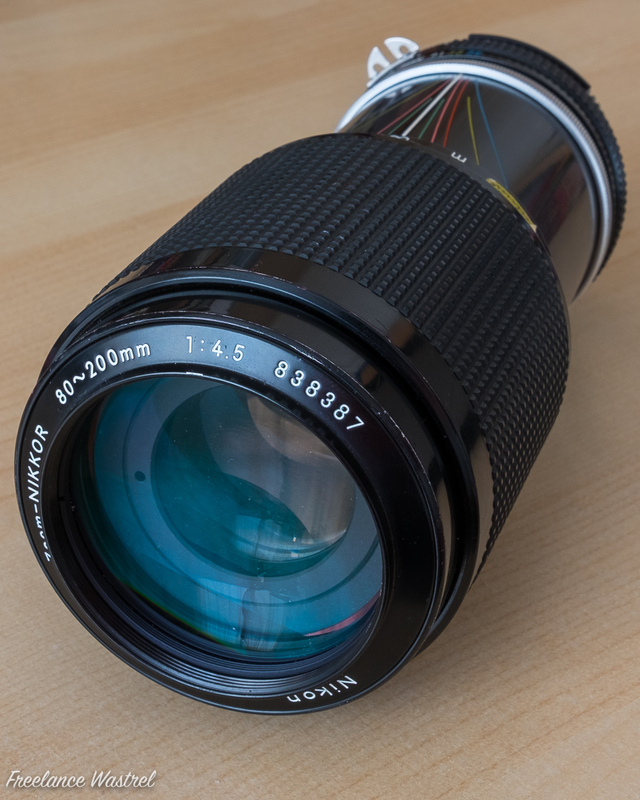 This is the post-1977 version of the lens with 12 elements (in 9 groups) and NIC multi-coating, giving better image quality than earlier models, it’s also 80g lighter, weighing in at ‘only’ 750g! Bidding began (and ended) at £30 and yes, I was the only bidder… the lens needs a good clean but I think it’s time to dig out my Nikon F3 to mount it on, don’t you?